As a developer, we are not always blessed with a dedicated designer in our projects, especially not in our hobby projects at home where we often create everything from icons to database. Most of us are quite good at writing code but might lack some skills when it comes to color matching and/or user interface design. I am in the progress of creating a new Windows Phone app and enjoy working with Blend. I know and use a bunch of written and unwritten UI rules to create a decent app experience but I have a problem with colors (as you can see from my blog theme). 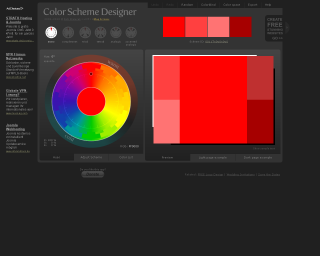 I find it difficult to find out what colors match to create a great app palette. 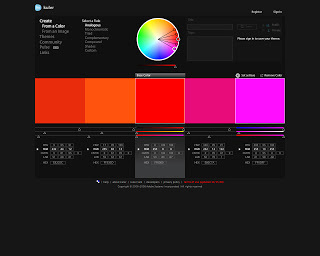 Here are some links for color matching and other design related topics I found when browsing the web for tools and information to create a better visual user experience in my app. I like how your schemes can be previewed applied on a website design. 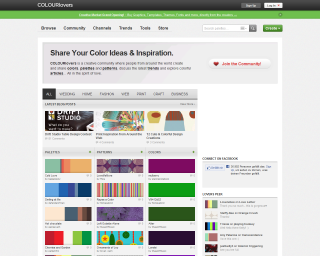 COLOURlovers is a creative community where people from around the world create and share colors, palettes and patterns, discuss the latest trends and explore colorful articles… All in the spirit of love. 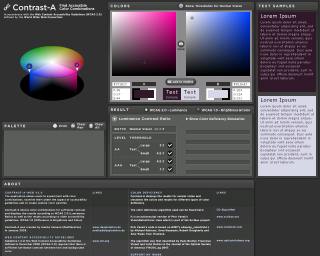 The application allows users to experiment with color combinations, examine them under the aspect of accessibility guidelines and to create custom color palettes. Name that color - I have started to name the brushes with a real name instead of “blueish3brush”. This tool helps finding out what name to use. 24 Weeks of Windows Phone Design PDF - by Arturo Toledo. Öredev 2012 Session – Building Highly Successful Windows Phone Apps: a Recipe for Repeated Success - Gergely Orosz, one of the developer behind the apps Cocktail Flow, AppFlow and Weather Flow. Channel 9 - Find loads of videos here including the Build 2012 recordings. Jayway – The UX team write great design posts here. The release of Windows 8 will create a market big enough for new web sites similar to Theme Forest where designers can show, share and sell complete design templates for Win 8 and WP apps. Our platform needs to attract more designers and increase the visual quality of the apps, this can be a great step in the right direction.